Just a quick greetings but I guess you don’t mind because this quick post gives you such a nice benefits! You know I am working with Amazon UK this year, and as I promised you earlier this means something awesome to you too. 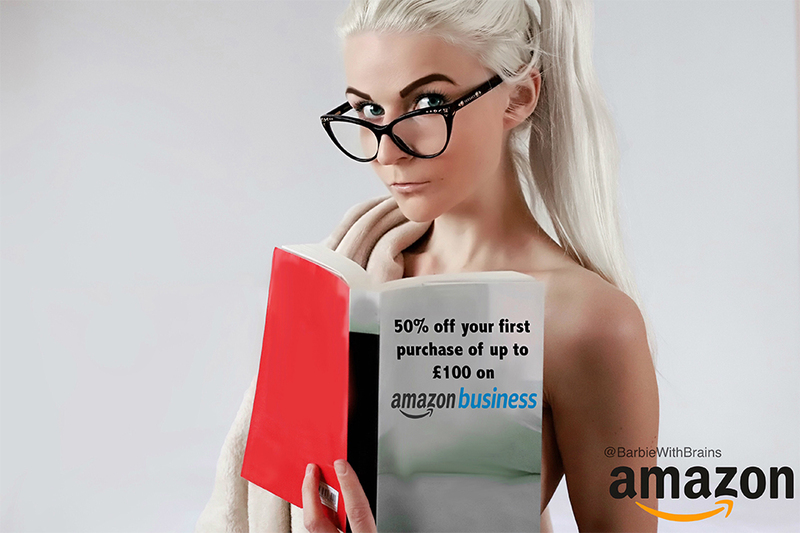 Very simply some discount codes and special offers, and also something like I am sharing with you now: 50% off your first purchase of up to £100 on Amazon Business! Hit the Amazon banner below to start! Hit the banner above to start.The promotion will be valid until 14th of May 2019! SO, HOW DOES MY AMAZON PROMOTION WORK? It can take as little as five minutes to register for an account (although it may take up to three days for an account to be verified). Within three working days of becoming a verified business account customer, you will receive an email with their promotion code which you can redeem at checkout. Hit the Amazon banner below to start!